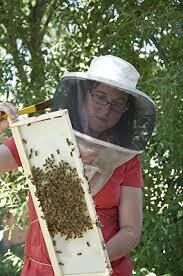 In 2010 the University of Delaware’s apiary was rehabilitated and revitalized as a working, teaching apiary. The apiary consistently houses between 25-50 colonies during the peak season. A unique and special result of the increase in the number of colonies has been the production, harvest and marketing of Dare to Bee! 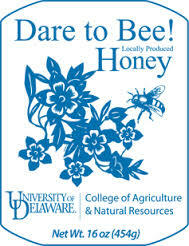 Honey, featured in the UD creamery during the late summer and fall season. This honey is not only delicious but is produced by University bees and generates revenue that can be used to sustain the apiary.